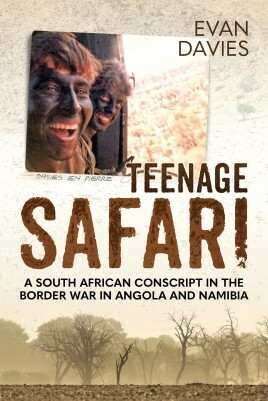 A compelling first-hand account of a young South African conscript's experiences in the South African Army of the 1980s. A wide-eyed South African conscript relates his small share of the war in Angola and Namibia in the 1980s. This is not the usual military history, written by a commander armed with facts, nor a researched story of a war or campaign. It is a personal experience. 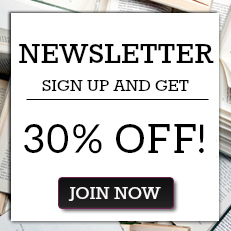 Being brutally honest it will resonate not only with readers of all things military but also with a wider literary audience, for its poetic prose and subtle sentiments, and for its entertaining narrative. It may thus be of interest not only to the South African men who were there, but to their women who were left behind, and to all men and women anywhere. It is a book by a non-warrior dumped into a war, which nevertheless provides vivid alternative firsthand accounts whose validity cannot simply be brushed aside by professional historians. Descriptive writing takes readers right into the colorful past, into action and into personal interactions. Notes made at the time preserve intimate details of what it was like to be a White South African during Apartheid, and the surprisingly humane culture within its small but effective White-led Army. Dialogue is remembered verbatim as is the unique jargon and profanity of the time, with English translations where Afrikaans is spoken. After a brief life background the narrative moves chronologically through two years of military training, deployment, combat and demobilization, with comments on the human effect of these experiences. The result is a compelling time capsule: the South African Defence Force ceased to exist in 1994 when South Africa began its nonracial democracy. Surprisingly, because it was a humane army it was a good one. This is not just a liberal attitude. It meant that when a thing needed doing, it was done conscientiously and thoroughly, with thought for secondary effects. It was a dangerous opponent to have, inflicting maximum casualties where this was necessary, but when the need passed, it switched easily to a humanitarian purpose. There was much lost that being unique (and laudable) in the Old South African culture and in its Army's approach and attitude, is fascinating today. After his compulsory military service, Evan Davies qualified as an architect at the University of Port Elizabeth and, thereafter, studied Urban Design at the University of Cape Town. Several years behind a drawing board convinced him that instead, he should go farming in the Klein Karoo - an arid, pristine, South African hinterland. While financially unrewarding, or at times even intimidating, this allowed him to shoo baboons out of his house, ride horses, be charged by lions, wrestle pigs to the ground and grow olive trees. He could also wear shorts, shave infrequently and develop a permanent farmer's suntan while writing poetry in the evenings, or watching the stars. Currently, he is in Cape Town, with custody of his two talented teenage sons until they mature. Here, he cooks well enough because he has to, reads a lot of history and science, writes the odd poem and annoys everyone on Facebook - all the while pursuing his new main professional interest, which is forging Iron Age-type swords. He has a suburban forge - with all the smoke and hammer noise necessary to annoy the neighbours properly - and the physical demands, creativity, applied technical knowledge and the parenting combine in a satisfying life experience.